Translation is vital in bridging the gap between two different languages, cultures and customs. Whenever two different people meet, the first thing that happens is to speak in a common language that both of them understand. When both of them do not know a language to communicate, translation facilitates an understanding of the meaning of what one wants to say. Different countries have different language and different cultures. Despite this great barrier, we are able to communicate. English alone has no meaning in countries where it is not the spoken language. Translating your ideas and thoughts for the culture of the country involves a great amount of innovation and localization. Without translation can you spread the knowledge and appreciate a Chinese or a Korean or a Japanese culture? I remember a famous Korean Singer who was invited for a performance in India. The person wanted to interact and connect with Hindi speaking audience. Language is the barrier. She got the translation done in Hindi for “Good Bye and let’s meet again next time” But she knew that it would not still connect as it would sound foreign and has no localization of her product which is singing an English song. Hence she did a bit of localizing for the audience and sang one or two lines of famous Hindi Song and said “Phir Milenge” in Hindi. Localization goes beyond translation and connects people of different culture and language. You got your translation done. You have localized the website for foreign market. But are you effective in communicating your thoughts during interaction? A good interpreter who is bi-lingual and a specialist can play the role of translating and then interpreting the translation for establishing a meaningful dialog. Proper translation, interpretation, Localization are important ingredients for successful communication across different language groups. The Role of Translation in Literature is vital and pivotal because the importance and flavour of classic works can be reached to a number of readers by means of translation only. If you want to get to know about different cultures prevalent and you want to appreciate the literary and cultural work, translation is a must. India, a country of unity in diversity with multilingual and multicultural aspects has an aged old history where translation has been worked for a long time and still continues to play a pivotal role. Translation of Sanskrit classic like the epics and puranas continued to be retold, adapted, subverted and translated. If Rabindranath Tagore‟s Gitanjali would not have translated into English and W.B Yeats would have not written preface of it. Could Tagore have received Nobel Prize in 1913? The Role Translation in Commerce cannot be underestimated as it enables successful transaction across nations with different language groups. Although English is a link language and is treated as the lingua franca, it is not enough in to-day’s connected world. For more than 70% of the world population, English is not the native language. In many countries like China, Japan, Russia, Germany, France, English is not the first language and they are big and growing economies. Translation from English to Chinese, Japanese, Russian, German, and French should be the first step followed by other languages for building business beyond boundaries. English is not the official language in most emerging markets. So Translation is a must. By 2021 it is expected that the total internet users in India would grow to 735 million and out of this Indian language users would grow to 536 million due to adaptation of smartphones and internet connectivity in rural area. Web content in Hindi, Bengali, Marathi, Tamil and other Indian language will be in great demand. By 2021, it is expected that more than 70% of Internet users would prefer to browse web content in their native language and English will not be the primary language due to availability of local language web content. 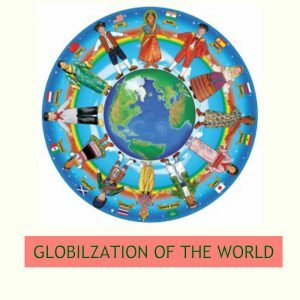 It is time change the strategy from mono-lingual to multi-lingual for a globalized world. Always hire professional translation services provider like Bhasha Bharati, They have more then 50 years experience in translation services for all Indian and foriegn languages.